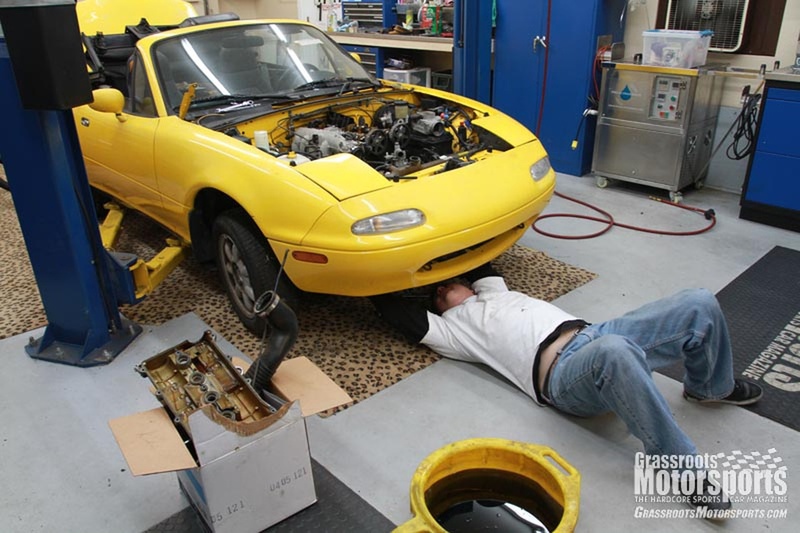 Another works session for our Sunburst Yellow 1992 Mazda Miata has come and gone, and while the engine still hasn’t come to life, we now have a real idea of the situation. The Ungo alarm has been removed completely, which we believe was the original cause of our problems. That thing was quite invasive, but in the end we removed every trace—and without having to replace the OE wiring harness. However, the car still wouldn’t start—no spark. We’d had some spark previously, so we peeked under the valve cover and noticed the camshafts weren't moving. Stripped timing belt. The car had sat so long that the belt simply shed some of its teeth while we were trying to restart it. Right now the front of the engine is apart while we wait on parts—new timing belt, water pump and associated bits. While it’s all apart, we're also going to replace the radiator since those plastic-capped units don’t last forever. 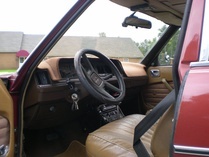 We also took this opportunity to remove the power steering and air conditioning. I've already fallen in love with this car. Is it possible to keep a running tally of costs for those of us that don't have the time/means for our own GRM Challenge builds? Yes, we'll keep you posted on the total budget.